In daily life, Primi women tend to wear ordinary Chinese rural dress, no different from that worn by Han women. Generally, only during festivals or special occasions do they display their traditional ethnic costume. 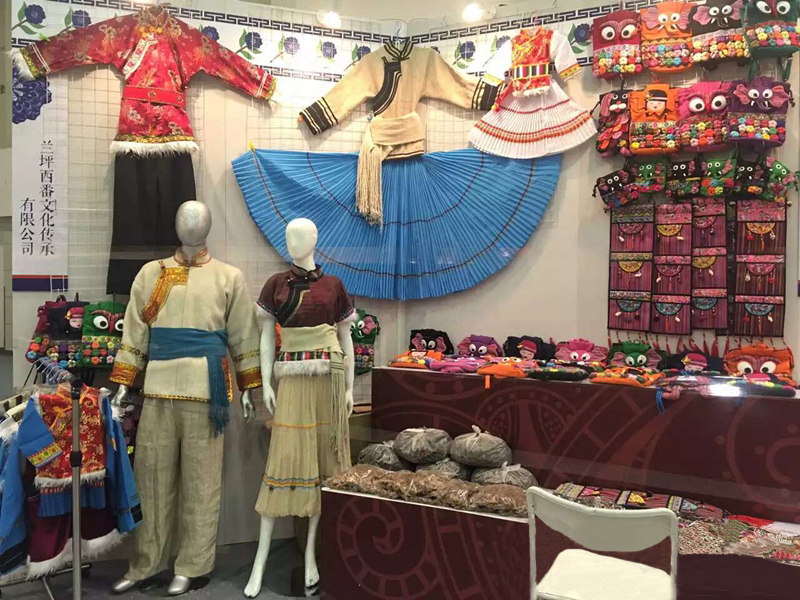 In Ninglang county this traditional costume is very similar to that of the local Mosuo and Naxi, and consists of "a long pleated skirt of a single colour (usually black, blue or gray), over which they tie a rectangular apron with embroidered edges. At the top of the skirt they wear a wide belt, usually red, made of homespun hemp. On their upper body they wear a wool or felt vest with frog-buttons in front; and wrap their head in a turban of black cloth, or in the case of young women on festive occasions, sometimes multicoloured yarn. Adornments include silver jewelry. Primi men and women wear long sarongs. The long sarong worn by women spreads out, flows and drags along the ground. Primi women in Ninglang and Yongsheng often wrap their heads in large handkerchiefs, winding their plaited hair, mixed with yak tail hairs and silk threads. They consider plait beautiful, the more so the bigger it is. Normally, they wear jackets with buttons down one side, long, plaited skirts, multi-colored wide belts and goatskins draping over their backs. 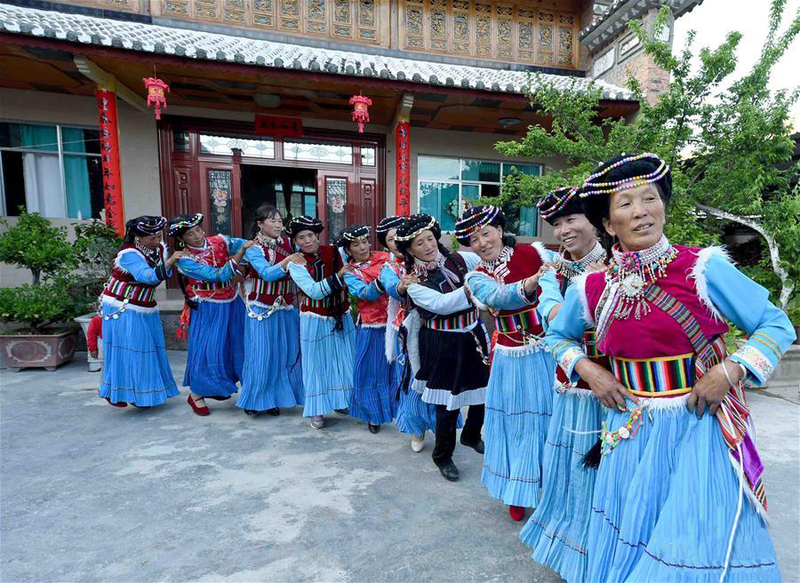 In the Lanping and Weixi areas, women tend to wear green, blue or white long-sleeved jackets under sleeveless jackets, trousers and embroidered belts. Often, they wear silver earrings and bracelets. Primi men wear similar clothes: linen jackets, loose trousers and sleeveless goatskin jackets. The more affluent wear woolen overcoats. Most carry swords. According to old customs, Primi children can only wear a long gown and unlined garment, and change to trousers or skirts and short gowns after thirteen. Adult men and women still wear sheepskin sleeveless jackets or capes and tie belts around their waist. Women regard thick braids as beautiful and like to braid yak tail strands and silk into their hair and coil it at the top of their head. The Primi women in Ninglang often wear long skirts with many plaits. They embroider a horizontal line in the middle of the skirt with red thread. They say it is the route along which their ancestors migrated, and people should look for their final setting place along the route after they die or they can't return to the birthplace.